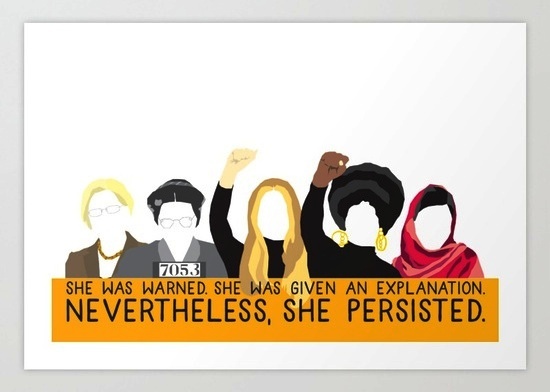 March is Women’s History Month! Learn about the history of this month and how it is celebrated today in this week’s CLP Current Event. CLP: Great discussion point for students: Are companies benefiting from celebrating and supporting Women’s History Month? “Nevertheless, She Persisted: Honoring Women Who Fight All Forms of Discrimination Against Women” What does this 2018 theme mean? The International Women’s Day 2018 campaign theme is #PressforProgress. What progress is most important? What role have men played in the fight for women’s rights? What role could they play? Are women’s and men’s rights interconnected? Why is the right to vote the centerpiece of the Woman’s movement? Is equality for women connected to equality for everyone? How and why? What are the challenges for women and girls in 2018? What are gender studies? How is perspective important to understanding history? Why is there an increase in women candidates for office? How might women change politics? What is the Equal Rights Amendment? Why has it failed to pass? Is there a connection between the “Me Too “ Movement and an equal rights amendment? How is the right to equal pay related to equal rights in general? What are the terms “sexism” and “feminism”? Why are women’s rights controversial? What do recent events say about the future for women and girls in the United States and around the world? CLP: This site has great information about Women’s History Month, including links to help find speakers in your state.